Hands down, this is my favourite time of year. Mainly because an awful lot of celebration is involved. In 34 sleeps it is of course Christmas but this weekend also sees my sister and brother celebrate their birthdays. As a child, in order not to feel left out, my phenomenally kind parents would buy me a present too. It took me until the age of eighteen to stop feeling like the Queen with two birthdays a year, my official birthday in May and my unofficial one each November. Spiffing stuff, as I'm sure Her Majesty said when she too realised she'd get to have two birthdays a year. This year we've moved to the same city as my brother and sister. Hurrah, I get to bake them each a cake that hasn't spent two hours sweating in a tin precariously balanced on a pile of luggage on the Great Western Railway London to Cardiff train. I baked my brother a Chocolate and Coffee Battenburg Cake (his fave). It turned out to be more of a Leaning Tower of Battenburg as the baby choose the exact moment of construction to enter what we *fondly* refer to as 'The Milk Rage'. This cake was more successful, a bake that has become very much a family favourite in recent years. 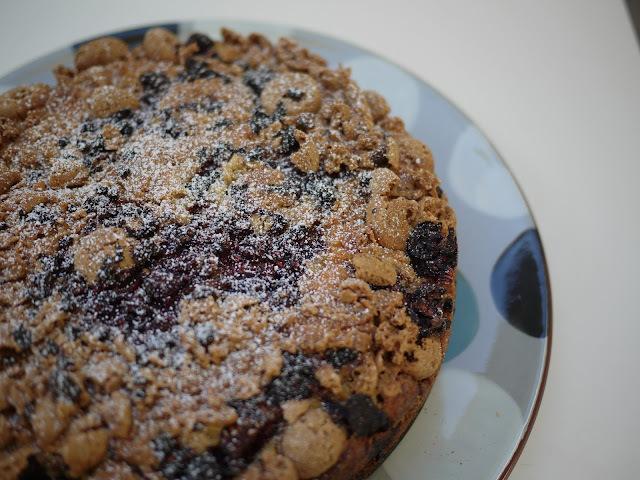 Its rather a perennial cake as not only is it super in the summer with fresh berries but it is the perfect cake baked with frozen fruit to use up any leftover amaretti biscuits from a festive glut. Originally, a BBC Good Food recipe, I've adapted it somewhat over the years to the recipe below. I'm also entering this into the Tots 100/Clover #NothingArtificial challenge. 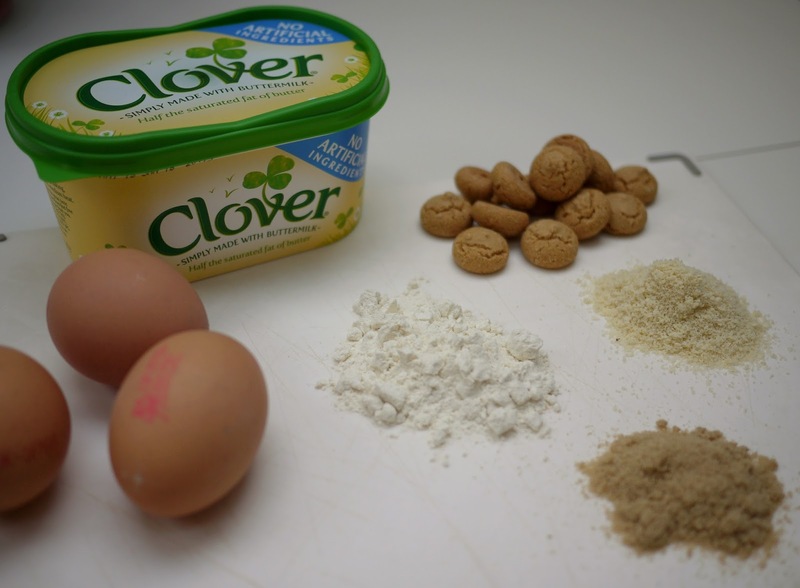 With half the saturated fat of butter and simply made with buttermilk, Clover naturally adds flavour to family meals. 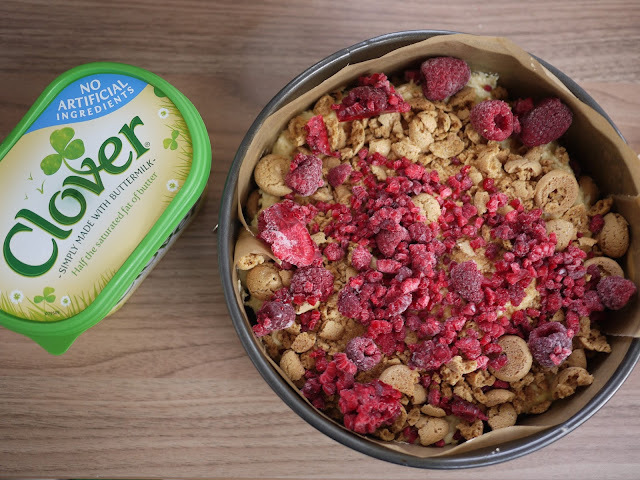 And of course the great thing about home baking is that you know exactly what goes into your cake- no artificial nasties, no fancy E numbers or synthetic ingredients, just like Clover. 1. Preheat the oven to 140C fan/160C/Gas Mark 3. 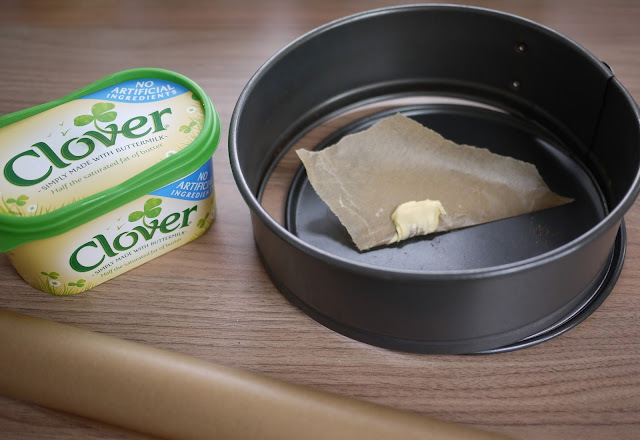 Grease with Clover and line a loose bottomed 20cm round cake tin. 3. Spread half of the mixture in the prepared tin and scatter with half of the biscuits and half of the fruit. 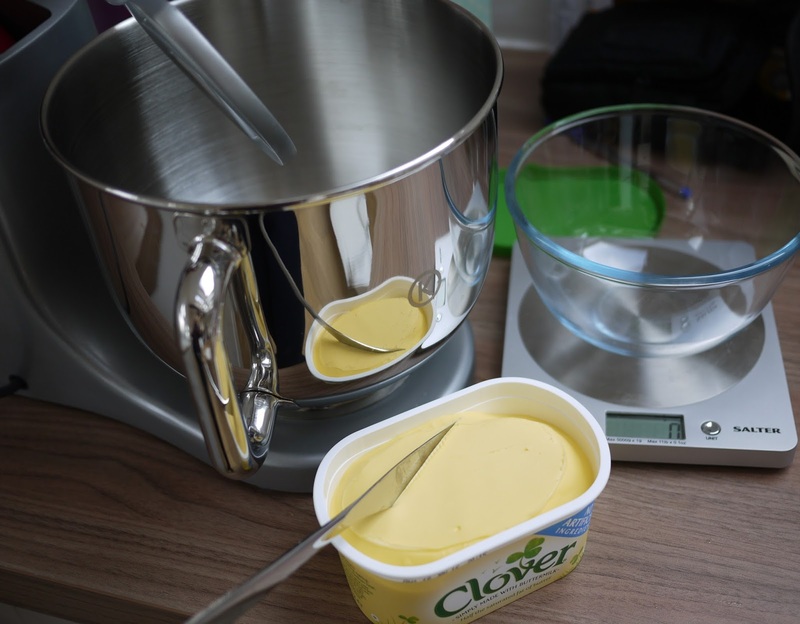 Dollop over the remainder of the mixture and sprinkle with the rest of the biscuits and fruit. I used to get a gift on my brother's birthday and vice versa. It's a shame it ever stopped! I love amaretti biscuits and this cake looks gorgeous - so crunchy and full of festive flavour!